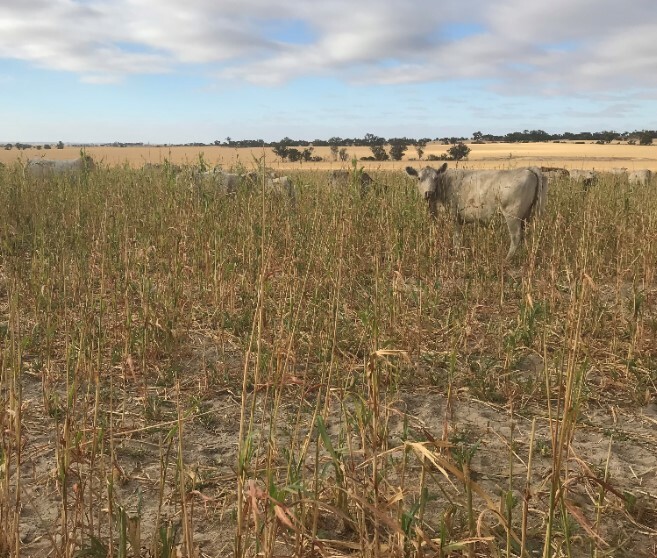 A trend towards lower rainfall, particularly in winter, along with more damaging frosts have become important factors in decision making for Corrigin growers, Simon Wallwork and Cindy Stevens. After observing these trends, they have shifted their focus from productivity to profitability and diversified their business to help reduce risk. Using the Bureau of Meteorology’s Climate Data Online Simon investigated climate trends for their 3,600-hectare Western Australian property and the broader region. While both winter rainfall and the timing of the autumn break are on the decline, summer rainfall appears to have improved slightly (Figure 1). The need to capture this summer rainfall is now more important than ever and was a major factor driving some of the changes Simon and Cindy have made to their business. Frost represents another major risk to the cropping enterprise. 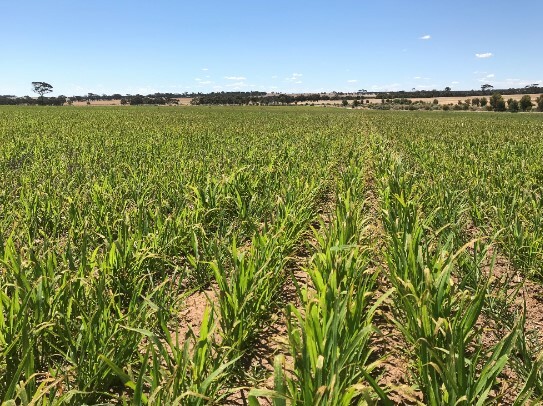 CSIRO research has shown that, not only have frosts become more severe in the region, but they are also more likely to occur later in the season and damage maturing crops. More information about CSIRO’s ‘Understanding frost risk in a variable and changing climate’ project is available via a GRDC media release or the final report. 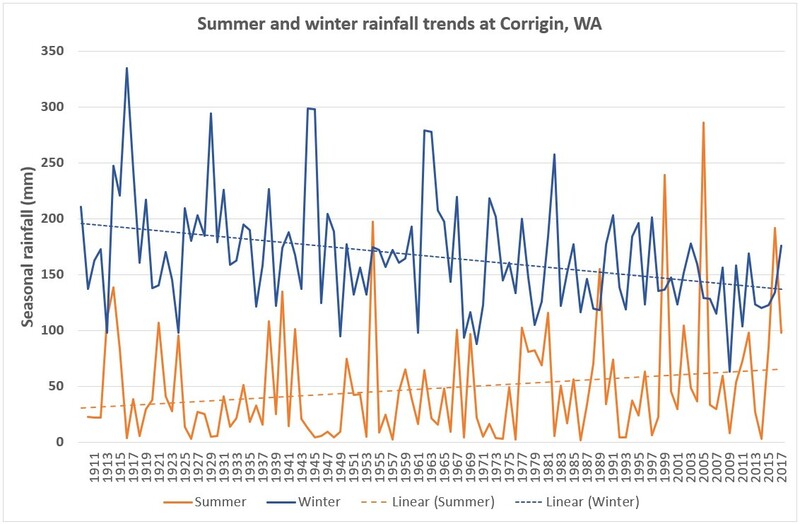 Figure 1: Winter rainfall is declining at Corrigin, WA, while summer rainfall is on the increase. Source: Bureau of Meteorology. Drier conditions and the increased potential for frost have increased the level of risk in the cropping enterprise. Simon has adapted to this by reducing inputs so that, although he isn’t chasing the highest yield, he does maximise profit. He uses the three-month forecasts from both the Bureau of Meteorology and the Department of Primary Industries and Regional Development (DPIRD) to help inform his sowing decisions. In a year like 2019, when the summer rainfall was below average, he will cut back on fertiliser inputs even though 2018 was a good season. If there isn’t an early break, he’s likely to limit sowing of crops like canola and lupins that require a longer season. 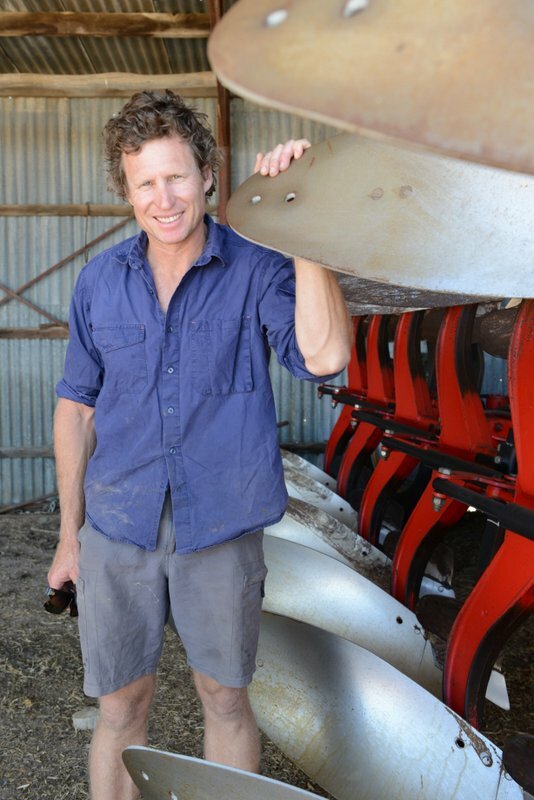 Simon uses the Bureau’s short-term forecasts to help with planning the timing for operations like sowing and spraying. The business was historically focused on cropping, but Simon and Cindy have increased livestock numbers over the last few years to diversify their farming operations and spread the risk. They now have 200 breeding cows and 600 breeding ewes. Image 2. Murray Grey cattle grazing a mix of millet, forage sorghum and sweet Sudan grass. Simon plants sacrificial barley fodder crops in early April and grazes through the year before hay-freezing in September. This gives him the opportunity to control weeds and conserve moisture ahead of the next cropping season. He has also been experimenting with different summer fodder crops sown onto chemical fallow paddocks. Starting with 50 hectares of millet sown in 2014, Simon has also tried sorghum, sweet Sudan grass and cowpea. While the cowpea didn’t really suit his environment, the others have worked well and in 2018 he sowed 250 hectares to these summer crops. He is now planting a blended mix of species onto the chemical fallow in late September, early October. He usually favours the lower country, which retains higher moisture, enabling him to fatten livestock while capturing the summer rainfall. Image 3. Millet sown in early October on winter chemical fallow is ready for grazing by cattle. The non-wetting soil has been limed and mouldboard ploughed. The summer crops also integrate well with Simon’s mouldboard ploughing program aimed at improving the non-wetting sands. Anecdotally he’s seen a reduction in frost severity as the improved topsoils wet up more easily. By ploughing in September while soils are wet, he can get over more country and get a better job. Observing yields from adjacent paddocks, Simon has found that barley sown onto the summer millet has out-performed barley-on-barley and he attributes this to the fact that the mouldboard treatment has ameliorated the non-wetting soil, and the grazed millet has enabled recycling of nutrients and improved root pathways. These changes have allowed Simon and Cindy to build a more resilient business that is better adapted to their changing climate. Profitability has been improved by increasing the enterprise diversity to better manage risk, and careful management of their soil and soil-water assets. Learn more about Simon’s approach by reading his Climate Champion profile from 2014.